Create beautiful makeup for a little girl! 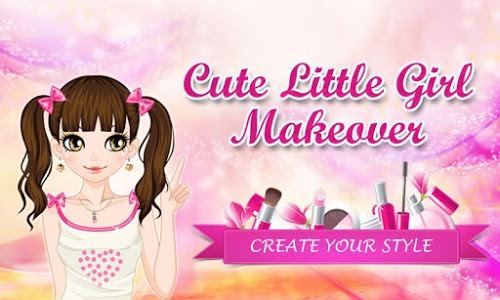 Play with fashion makeover, dress up the model, make the fashionista to be the most cute girl! A little girl wants to look cute and pretty. Give the model fabulous look, dress up princess with beautiful clothes, apply lipstick, mascara, change eyes color and select the best hairstyle! Play with the look of the glamorous cutie. Change makeup of the model, enjoy the makeover game! - bride bouquets for little fashionista. Save a picture of your princess and share your little girl with friends! This is one of free dressup games for kids and girls. If you love girls games where you dress up a model in a beauty salon or apply make up in a makeover game then play this fashion dress up application! 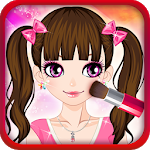 Little girls love makeover and dressup salon games, young ladies like to apply makeup on a barbie after spa, to dress up romantic clothes like a real beauty queen. A celebrity always appeals to little princesses. Any romantic cutie likes wedding games and loves to put wedding clothes on a bride or a star model. And any princess dreams to be the most beautiful fashion woman with glamorous hairstyle and jewellery! Bugfixes. 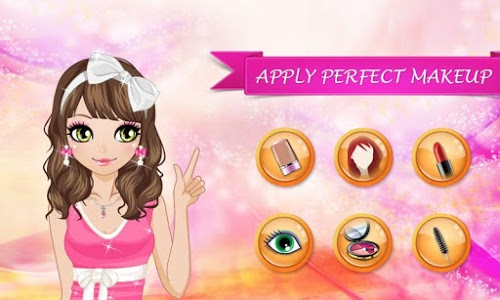 Dress up a cute girl in the fashion salon and play makeover games for girls! Similar to "Cute Little Girl Makeover"